← Tinkerbell flying: Amélie Poirier, Montreal artist and brave heart. Garance Doré, born Mariline Fiori. From a childhood spent running naked on the beach in Corsica, to Paris where she knew “nobody”; Garance Doré is now the trail-blazing fashion insider known as “The Guardian of Fashion”. In 2006 she started her blog to share her fanciful fashion illustrations. She then added her writing, now famous “streetstyle” photography, and the YouTube series called “Pardon my French”. 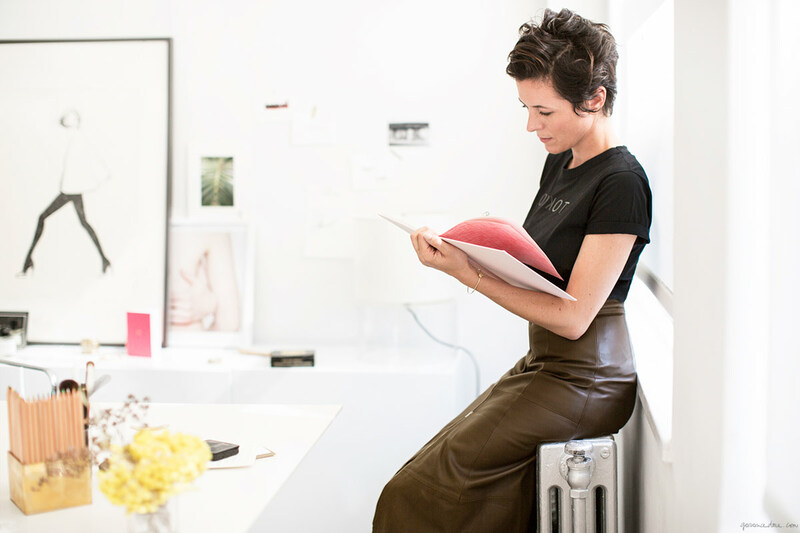 Garance has collaborated with giants like Dior, Louis Vutton, Tiffany & Co., J Crew, and Kate Spade. She has interviewed Stella McCartney, Dries Van Noten, and Jenna Lyons, just to name a few. 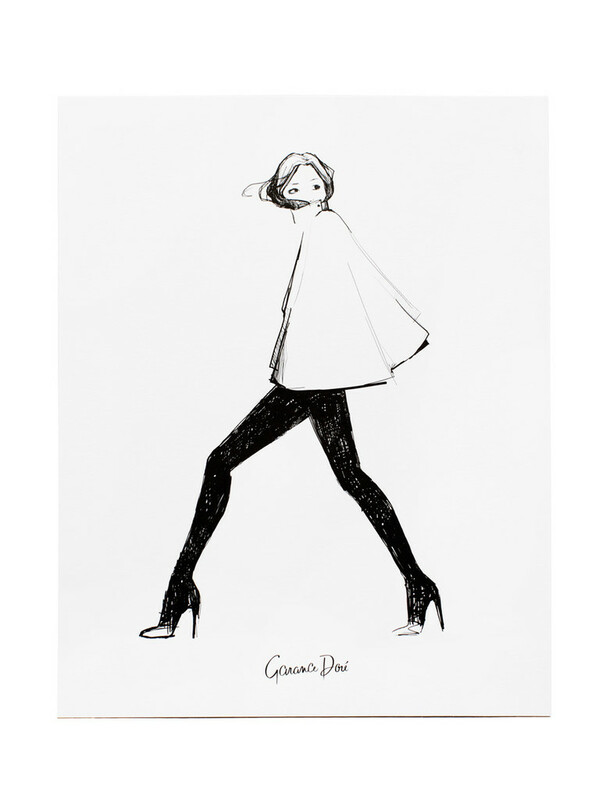 My favorite illustration by Garance Doré. 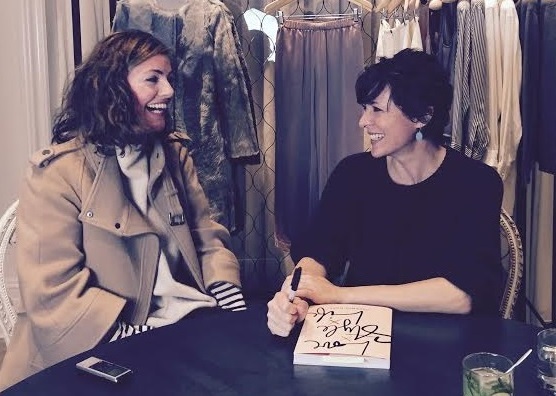 Her new book Love x Style x Life is out and it is a beautiful and fun read! Last Monday I attended her book signing at Club Monaco and had the chance to ask her a few questions. It was such a pleasure to meet this visionary. Her eyes sparkle like diamonds and she has the warmth of a hot beach. Can you tell I am smitten? Angelique: What made you decide to write this book? 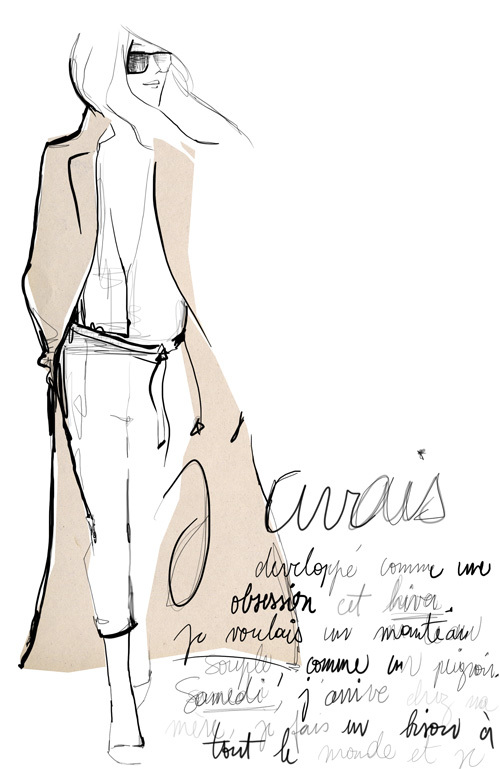 Garance: The blog is like a brush stroke, I wanted to have something complete, something you can hold, and touch. A: What makes a woman beautiful? A: Where did you find the couch that you sat on during your interview with Drew Barrymore ? It is so fabulous! A: Where did you interview Anne Hathaway and Nancy Myers for The Intern? I fell in love with the pink walls! A: Describe your favorite white blouse? G: I have a lot. I bought one in a boutique in Mykanos. They don’t make them anymore so that makes it very special. A: Is the sweater you are wearing today your favorite cozy sweater? G: It is one of them. A: Where did you find it? A: Where is your favorite place to get a coffee in New York? G: In the morning, in my apartment. Find out more about her book and purchase it here. Explore her beautiful blog here. Her thoughts on the events that took place last Friday in Paris. All pics taken from her website and Pinterest. Thank you Garance for your generosity. OMG OMG OMG OMG OMG!!! like what a huge celebrity!!! Way to go CSC!! 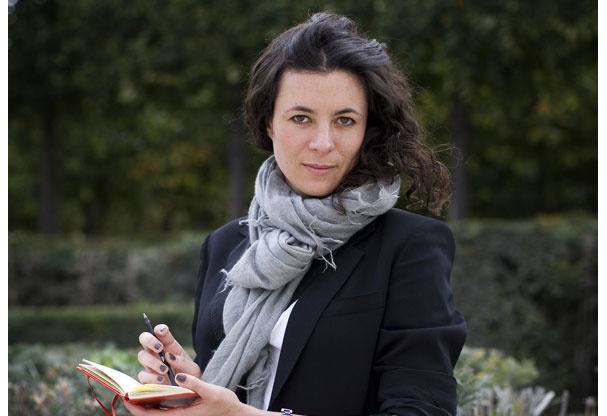 I had no idea her name was not Garance…. it’s such a great name! She is self-created and brilliant!